Fleming Rutledge’s The Crucifixion is one of the most stimulating and thought-provoking books of theology that I have read in the past 10 years. Both an academic and a well-regarded preacher in the Episcopal tradition, Rutledge has an extraordinary knack of cutting to the heart of the matter. Her book on the central reality of the Christian faith is supremely illuminating, a delight for the inquiring mind – and man, will it ever preach. There is so much of value in this text that I have decided to dedicate a number of articles to analyzing it. For the purposes of this initial interpretive foray, allow me to focus simply on two themes that run through the entire book and that ought to shape any Christian’s understanding of the cross: the sheer strangeness of the crucifixion and the weight of sin. Rutledge indicates a New Testament text that most Christians pass over without noticing how deeply peculiar it is, namely, Romans 1:16: “For I am not ashamed of the gospel. It is the power of God for the salvation of everyone who believes: for the Jew first and then Greek.” It would be hard to imagine the Buddha or Mohammed or Confucius implying that his doctrine is something that might appear shameful to people. But this is precisely what the Apostle Paul insinuates about what he calls his gospel (good news). Why would anyone think that good news might be a matter of shame? Well, because this good news centers around someone who had been put to death on a Roman cross – and it would be difficult to imagine anything in the ancient Mediterranean world that was more horrific than dying in such a manner. The problem, of course, is that we are the inheritors of centuries of artwork and piety that present the cross as a moving, or even saccharine, religious symbol. We wear it as jewelry, and we hang it on the walls of our homes as a harmless decoration. But for the men and women of Jesus’ time, death by crucifixion was not only painful; it was brutally de-humanizing, humiliating, and shaming. 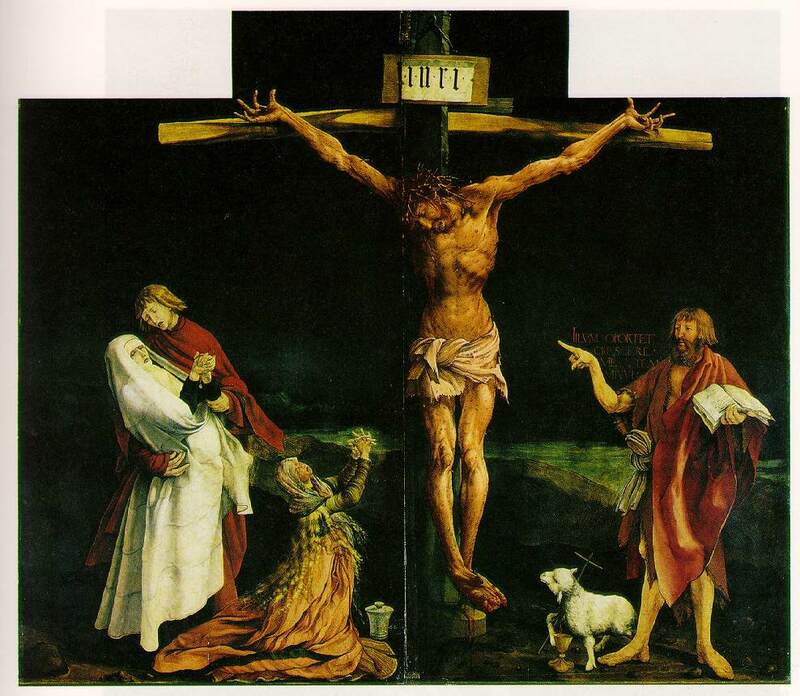 A person condemned to this manner of execution would be stripped naked (the loin cloths on most depictions of the crucified Jesus are not historically accurate), nailed or tied to a cross-bar fitted into a stake, and then left for hours, or in many cases days, to suffer the excruciating (ex cruce, literally from the cross) pain of very slowly asphyxiating while rocking up and down on wounded hands and feet in order to respirate. The mocking of the crucified, which is frankly described in the Gospels, was part and parcel of the execution. The pathetic figure pinioned to his instrument of torture and exposed in the most brutal and demeaning manner; he was meant to be insulted. When at long last the tortured criminal died, his body was allowed to remain on the cross for days, permitting animals to pick over his remains. Jesus’ rapid burial was exceptional, a favor specially offered to Joseph of Arimathea, a high-ranking Jewish official. We can clearly see why Cicero referred to crucifixion, with admirable laconicism, as the summum suplicium (the unsurpassable punishment). To be sure, the Gospel proclaimed by the first Christians involves the glorious resurrection, but those initial evangelists never let their hearers forget that the one who had been raised was none other than the one who had been crucified. Paul goes so far as to tell the Corinthians, who had perhaps given in to too much realized eschatology, “For I resolved to know nothing while I was with you except Jesus Christ, and him crucified.” So the question was – and remains – why would God’s salvation of the human race have to include something as horrifying as crucifixion? Why would the Son of God have to endure not only death, but as Paul eloquently specifies, “death on a cross”? The question neatly conduces to the second of Rutledge’s points that I should like to explore, namely, the seriousness of sin. We live in a time when the human predicament is regularly denied, explained away, or ignored. “I’m okay and you’re okay,” we tell one another, and we bask in the culture’s reassurance that “I am beautiful in every single way.” Despite the massive counter-evidence from the moral disasters of the last century, we are still beguiled by the myth of progress: With just enough technical advancement, psychological insight, and personal liberation, we will solve our problems. On such a reading of the human condition, all we need is a good teacher, a guru with brilliant spiritual insights, or a stirring moral exemplar to stir us to self-actualization. And if things go wrong, a blithe word of forgiveness should set them right. But with this sort of stupidity and superficiality the Bible has no truck. The Scriptural authors understand sin not so much as a series of acts, but as a condition in which we are stuck, something akin to an addiction or a contagious disease. No amount of merely human effort could possibly solve the problem. Rather, some power has to come from outside of us in order to clean up the mess; something awful has to be done on our behalf in order to offset the awfulness of sin. With this Biblical realism in mind, we can begin to comprehend why the crucifixion of the Son of God was necessary. The just rapport between God and human beings could not be re-established either through our moral effort or with simply a word of forgiveness. Something had to be done – and God alone could do it. With this line of thought, Rutledge comes close to the much maligned speculation of St. Anselm of Canterbury, and I should like to make her brilliant recovery of Anselm the subject of my next article. In the meantime, I can’t urge you more strongly to pick up her book and read it with care.